Neil Armstrong was a “pretty quiet guy,” even when flying jets in the Korean War, says a shipmate. Since he became first to walk on the moon on July 20, 1969, Armstrong has been a near recluse, legendary for avoiding the limelight – but now Armstrong is stepping into the public arena to demand fixes in the nation’s human spaceflight program. On September 22, appearing as part of a four-person panel, Armstrong told Capitol Hill lawmakers that the end of the space shuttle era has left the American human spaceflight program in an “embarrassing” state. Armstrong became a naval aviator through the little-known aviation midshipmen program, which, from 1946 to 1949, produced pilots who were neither officers nor enlisted men. Aviation Midshipmen wore a uniform with no insignia of rank. “He was a stern, self-assured guy who was respected but was not very vocal,” said former Lt. William T. Barron, who earned his wings in the program. Armstrong flew F9F Panthers in Korea, left the Navy in 1952 to become a civilian test pilot, and flew most of the advanced aircraft of the era. He made his first spaceflight in a Gemini spacecraft. The present-day program being criticized by Armstrong and many others, including Apollo 17 commander Eugene Cernan, has the government developing a huge booster rocket that isn’t associated with any vehicle and a vehicle that doesn’t need the booster, while the National Aeronautics and Space Administration (NASA) insists that policy is to encourage private-sector space developments. 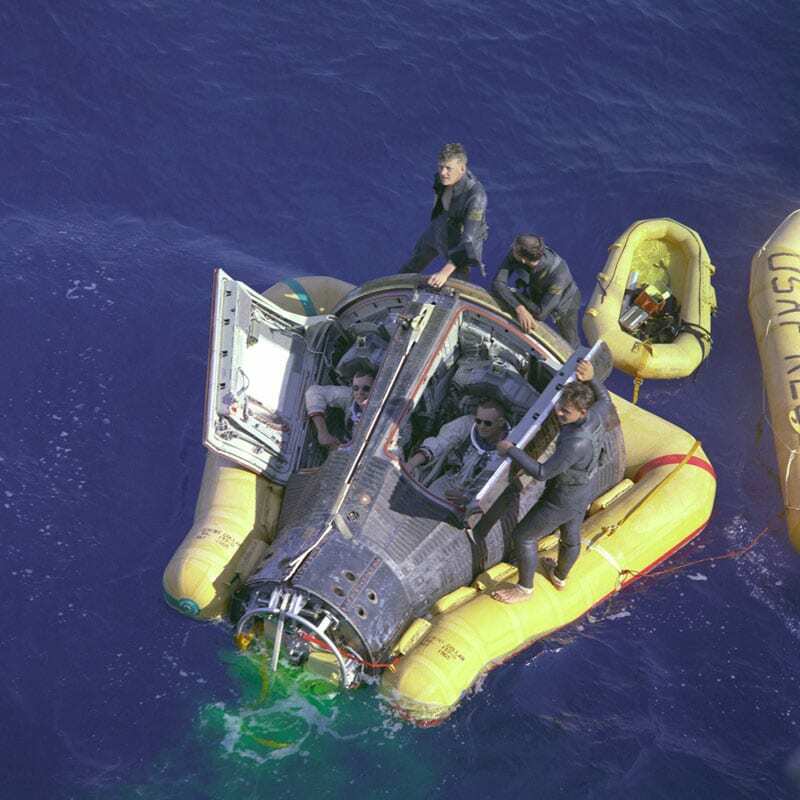 This confusion is a “path to decay,” Cernan told lawmakers. President Barack Obama canceled the Constellation program that would have returned humans to the moon and called on NASA to instead focus on new capabilities to carry people to an asteroid by 2025 and Mars by 2030. The retirement in July of the 30-year-old shuttle program ended the U.S. capability to send humans into space. Russia’s Soyuz capsule is now the only taxi for the world’s astronauts heading to low-Earth orbit. 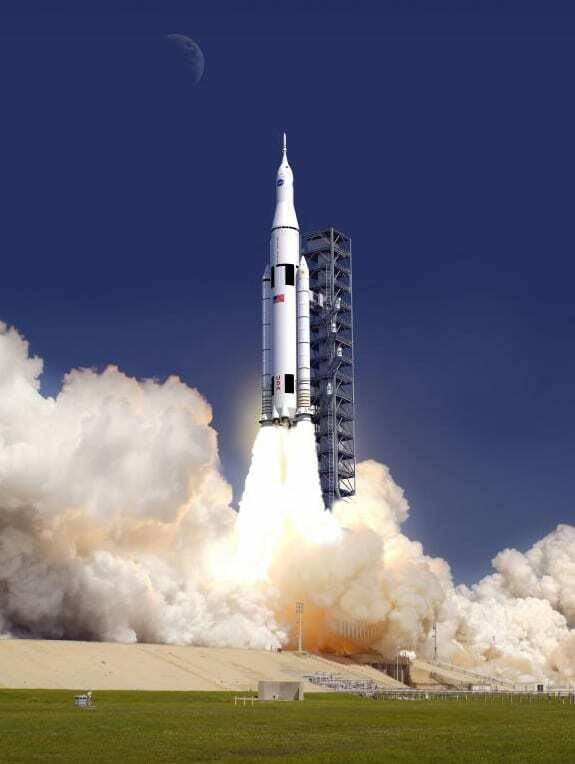 In September, NASA unveiled its “acquisition overview” for its Space Launch System (SLS) rocket booster intended to propel astronauts into deep space. Critics say NASA is pursuing SLS because Congress ordered it to, and not as an integral part of a coherent program. To space writer Randy Simberg, an artist’s concept of the colossal SLS “looks like a photoshopped Saturn V from the sixties with a couple modified Shuttle Solid Rocket Boosters bolted to its sides.” The largest U.S. booster ever built isn’t intended and isn’t needed to launch today’s evolving Orion Multi-Purpose Crew Vehicle. Law mandated the booster: It’s the result of legislation intended to preserve the engineering and scientific infrastructure that produced the shuttle. While NASA continues to develop SLS and Orion, the emphasis on private-sector spaceflight doesn’t satisfy Armstrong and the other experts that testified before the House committee. The lunar astronauts said Congress should reconsider the retirement of the space shuttle fleet and should call upon NASA and the administration to craft a coherent and understandable plan for human spaceflight. They warned that SLS will become a “rocket to nowhere” unless it is part of a broader, integrated policy. Cernan recalled John F. Kennedy, “a bold and courageous president who started us on a journey to the stars,” and said thousands of Americans were inspired by the space race with the Soviet Union. Cernan said Constellation has been replaced by a “mission to nowhere. As for Neil Armstrong, for now he has returned to Ohio, semi-retirement and part-time teaching. Whether he will return to “quiet guy” mode remains to be seen.